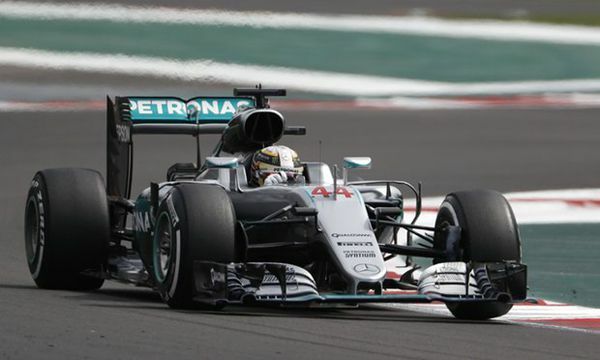 Lewis Hamilton victory in Mexican Grand Prix keeps his title hopes alive. Britain's Lewis Hamilton claimed first place in the Mexican Grand Prix on Sunday, remaining in touch with rankings leader Nico Rosberg, who finished second. The two Mercedes drivers had felt the focus sharply on them going into the weekend. Hamilton and Rosberg proved their dominance during qualification at the Autodromo Hermanos Rodrigiuez, setting the two fastest times. Hamilton set off in pole position, and apart from a slight wobble on the first lap, led throughout the race. This allowed the British three-time champion to move to 330 points in the drivers' championship, 19 behind Rosberg on 349. Despite closing the gap somewhat, Hamilton only has two more chances to overtake his teammate, with races in Brazil and Abu Dhabi. Barring a disaster, Rosberg can finish behind Hamilton in both outings and still claim the championship. 120,000 fans in Mexico City were also treated to a heated battle for second and third place, mostly involving Red Bull Racing's Max Verstappen. Verstappen toyed between trying to wrest second place from Rosberg and defending third place from his teammate Daniel Ricciardo and Ferrari's Sebastian Vettel. Verstappen roughly held off his two challengers and crossed in third. However, race officials ruled that he had cut a corner on lap 68, slapping him with a five-second penalty and dropping him to fifth. Vettel was thus promoted to the podium. The two Mexican drivers, Sergio Perez and Esteban Gutierrez, finished 10th and 19th respectively.